Kingsolver/Pierce Elementary School - S. M. Wilson & Co. Kingsolver/Pierce Elementary School - S. M. Wilson & Co. 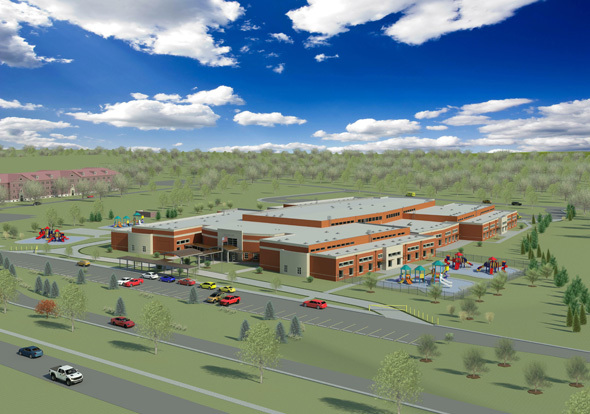 The AWA Wilson JV, a SBA 8(a) approved Mentor-Protégé joint venture, was awarded the construction of a new 115,000 SF elementary located in the Fort Knox Historic District. 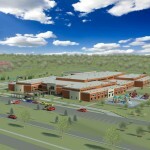 The new facility, which replaces and consolidates two older elementary schools, is considered one of the Department of Defense Education Activity’s (DoDEA’s) first 21st Century Education schools and will accommodate 635 students from pre-kindergarten through fifth grade. The single-story complex will house: libraries, learning hubs with flexible studios/labs, a central commons area with performance stage, indoor and outdoor classrooms, a gymnasium, specialist rooms, music and art rooms, a learning impaired room, teacher work rooms, counseling areas, an information center, administrative areas, supply and storage areas and state-of-the-art kitchen and cafeteria. Designed to achieve LEED Silver Certification, the facility will include high-efficiency building systems, renewable energy technologies and sustainable features such as: a geothermal heat pump system, solar water heaters, daylighting features, photovoltaic powered parking lots, energy monitoring systems/dashboard and a green roof.